There comes a time in every young fashion maven's life when she must acquire as many wash your mouth out with soap pieces, and for me, the time is now. Petals and Peacocks once again has dished out some super rad pieces. If there's anything I can get behind, it's fashion mixed with effortlessness- and comfort. Behold, the holy trinity! 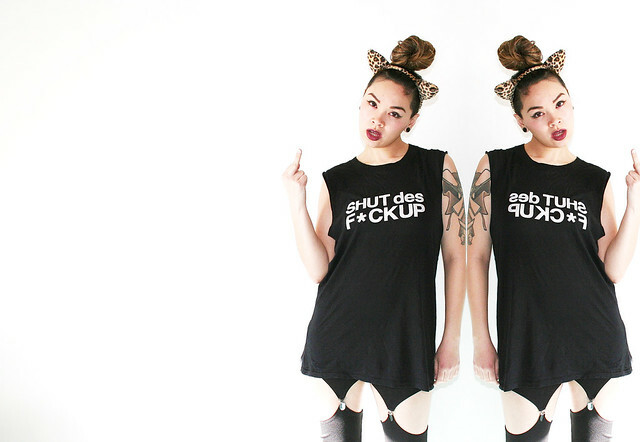 But for real, the new SDFU (shut des f*ckup) design is tongue-in-cheek fun. And anything that can make your mom exclaim, "Oh my goodness" is worth the shock value. Check out the Petals and Peacocks store! And maybe I don't even need to say this, but the beanies are super stretchy- so stretchy that they can even accommodate my crazy big head. Oh life.